Today, Creepy Jar, an independent studio made up of ex-Techland Warsaw team members (Dying Light, Dead Island, Nail’d), announced Green Hell. 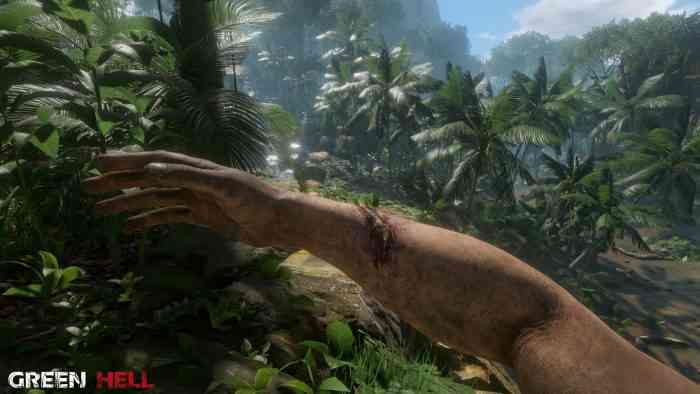 This is a first-person, psychological survival simulator set in the uncharted depths of the sweltering Amazon rainforest. Yes, think naked and afraid. Well, maybe not so much but in this game, you are clinging to life as you are set on a journey of durability as the effects of solitude wear heavy not only your body but also your mind. How long can you survive against the dangers of the unknown? Check out the announcement trailer below and also don’t miss the gameplay reveal live on Twitch today; Wednesday, May 14th at 12 PM Pacific, 3 PM Eastern, 7 PM UTC. Green Hell will enter Early Access for Windows PC later this summer with plans to hit consoles. The player is dropped into the impenetrable, emerald depths of the Amazon rainforest; the Green Hell. Having no memory of how you got there, your goal is simple: survive. Stuck in a beautifully nightmarish environment, it will take fortitude of mind and the most primitive of means to escape.